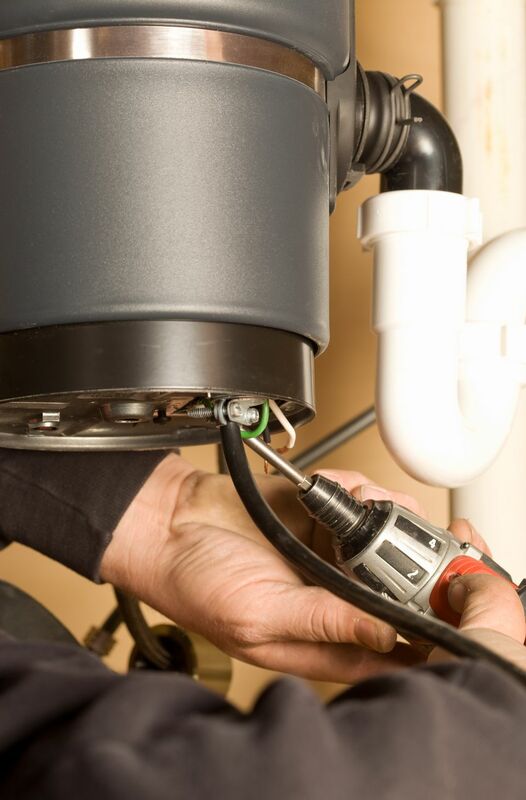 When the time comes to replace an old garbage disposal there are a number of things to consider. To get the best use of this kitchen appliance, it is important to buy the right one for your kitchen. Not all garbage disposals work the same, so it is a good idea to consider all the options. Currently, the most popular and best-selling garbage disposal brand is InSinkErator. They seem to be the most competitive with regards to quality, price, and durability. While there are other great brands available, InSinkErator is quite prevalent at most home improvement stores. Often they may be the only choice available. Aside from brand, there are several important elements to consider when buying a garbage disposal. The price is usually dictated by the unit’s horsepower and size. Other things to consider are the noise level, components, and special concerns like a septic tank. This guide is organized by horsepower, so it can apply to any brand of garbage disposals. The lowest horsepower garbage disposals available are 1/3 horse. Although they may seem like a great economical option, their utility level is quite limited. They get easily jammed and usually have the cheapest internal components, which will rust out in the shortest amount of time. This option should only be considered for very limited or temporary use. This is usually the minimum horsepower recommended for typical home use. These can usually be purchased for less than $100, so they are still an affordable option. They are smaller and can usually easily fit into tighter spaces. This unit size is a great option for those who do not use their disposals all of the time and do not overfeed the garbage disposal. The noise level tends to be quite high for these disposals. Also, it is important to run a lot of water with these units to help all of the food go down. Whenever possible opt for a 1/2 horsepower garbage disposer with Stainless Steel Grind components, which will make it last much longer. This is a great size for a garbage disposal, which can serve most kitchens quite well. At this size, they will have plenty of power for all those leftovers and more. Most, like the InSinkErator Compact (our favorite), can grind things like potato peels, celery, and much more with no problem. With this much horsepower, disposals will not get jammed so easily, and many more features are available. Stainless steel grind components, for instance, offer a much longer life, so look for that whenever possible. Also, most disposals at this size will have more sound protection, so they can run even quieter than the 1/2 horsepower units. One thing to keep in mind though, these tend to be a bit bigger than the 1/2 horsepower disposals, so make sure you have the room to install one under your kitchen sink. Do you feel like grinding chicken bones, fruit rinds, coffee grounds, and much more? Well, disposals of 1 horsepower will do the trick. Most of the 1 horsepower models are the top of the line, like the InSinkErator Evolution Excel. They can end up being quieter than even the 3/4 horsepower models. All at this level should be fully stainless steel in the grinding chamber, have more room for more food at a time, and be virtually impossible to jam. Note that these will tend to be quite large, and you will need quite a bit of space under the sink. Units of this size with reverse osmosis systems can end up taking up the majority of the room under the sink. These are great units. If you have the room and the money, a 1 horsepower garbage disposal can be well worth it. Septic tanks require additional consideration, but a garbage disposal is not out of the question. There are garbage disposals that have a special cartridge on the side of the unit that injects the food waste with natural microorganisms to help with the breakdown of the food. These cartridges can be less than $15 dollars and last up to 6 months. On top of helping the septic tank, they also have a citrus scent that helps with controlling the odor from the sink and drain.